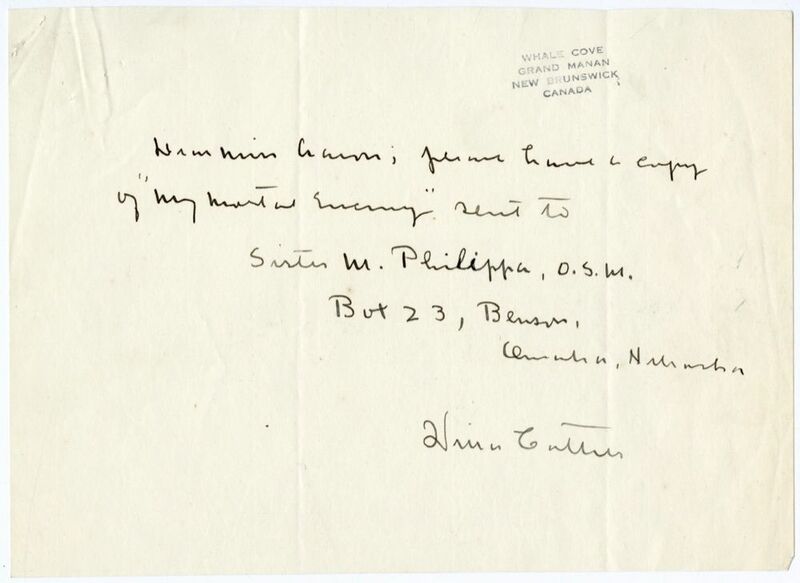 In her response of August 8, 1928, Manley Aaron wrote that this letter was received August 6, 1928, suggesting that Cather mailed it in early August. The Order of Servants of Mary (The Servites). Philippa, Mary. American nun. Sister Mary Philippa was affiliated with the Oblate Servants of Mary and Lady of Sorrows Convent in Omaha, NE. Cather directed Manley Aaron at Alfred A. Knopf, Inc., to send a copy of My Mortal Enemy (1926) to her.